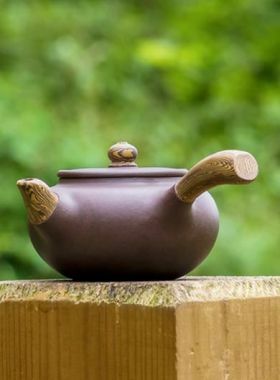 This Zisha tea set has a plain but powerful design, perfect for both personal use and sending as a present with gift package. 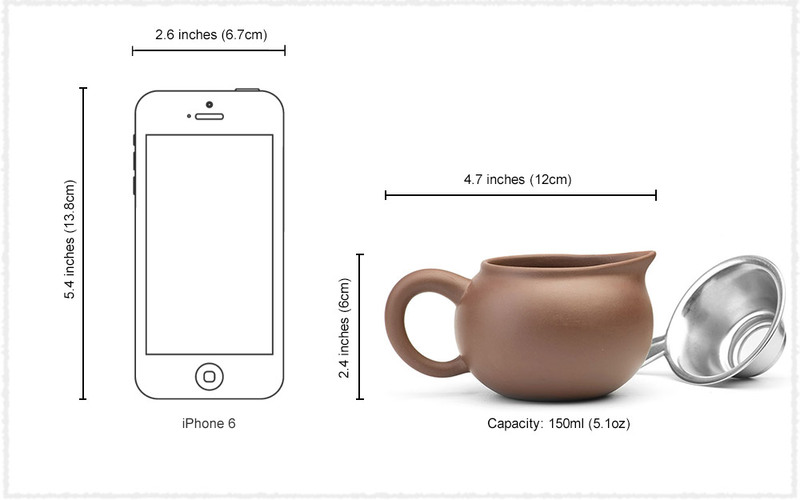 This Zisha tea set consists of a teapot, 6 tea cups, a tea pitcher and a stainless steel filter. 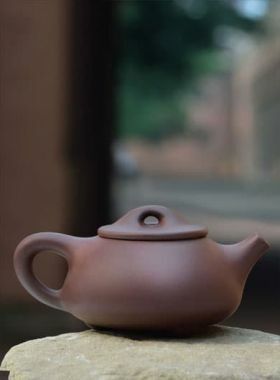 Inspired by a Chinese Tang poem” Where I see but the endless river rolling by”, the shape of this set is the same as Tian Ji teapot, perfectly integrating the artistic conception of poem into the design. 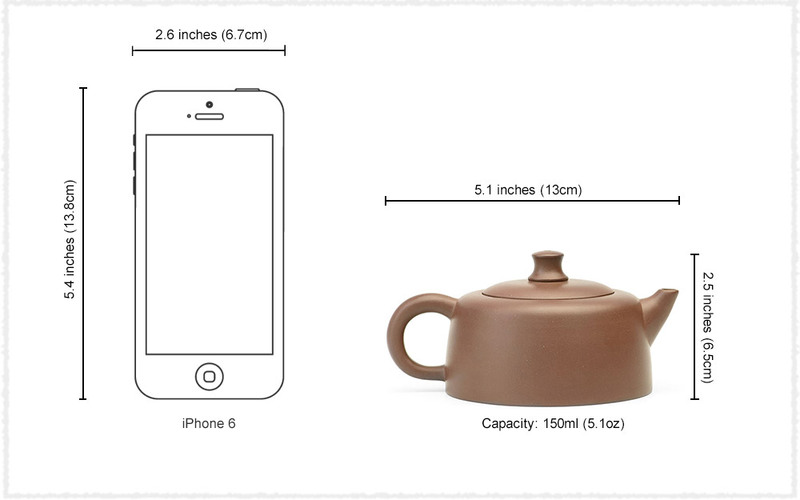 Tian Ji teapot belongs to traditional pot style, giving an imposing feeling overall. 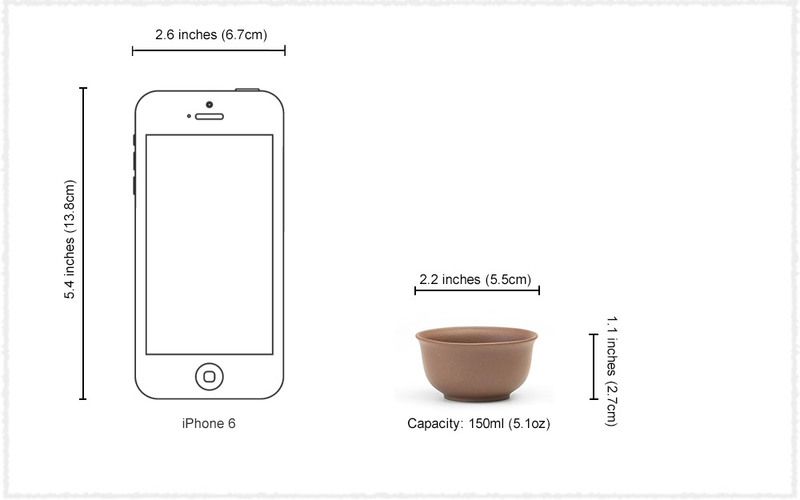 Its spout, handle, belly and lid all show a sense of plain and solidity. 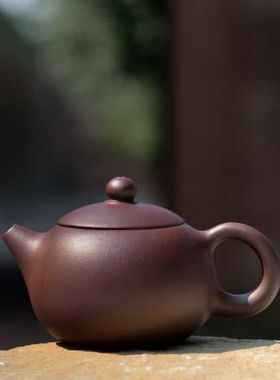 On the rest day, it is also a delight to brew a pot of tea by this tea set, chatting about all kinds of interesting things in life with your friends.